As the world’s population grows, demand for fresh seafood is rising, and stocks are being stretched to the limit. Climate change impacts further stress the food chain. Marine World Heritage sites can provide a buffer against this pressure. They allow fish to grow and multiply safe from major disturbance, and boost the resilience of the oceans unique ecosystem. Today, many of the world's marine protected areas—including 30% of marine sites on UNESCO’s World Heritage List —still suffer from illegal, unreported or unregulated fishing. Overfishing does not just impact the fish and shellfish being caught, it upsets the whole balance of living beings and their associated food chain. Relais & Châteaux and SeaWeb Europe chose to alert on this global problem by showcasing the alternative: seafood that is harvested or farmed responsibly, in a way that considers the long-term wellbeing of the oceans. In celebration of World Oceans Day, held every June 8th and themed this year “Healthy Oceans, Healthy Planet”, Relais & Châteaux supports UNESCO’s mission in preserving the marine sites on the World Heritage List. 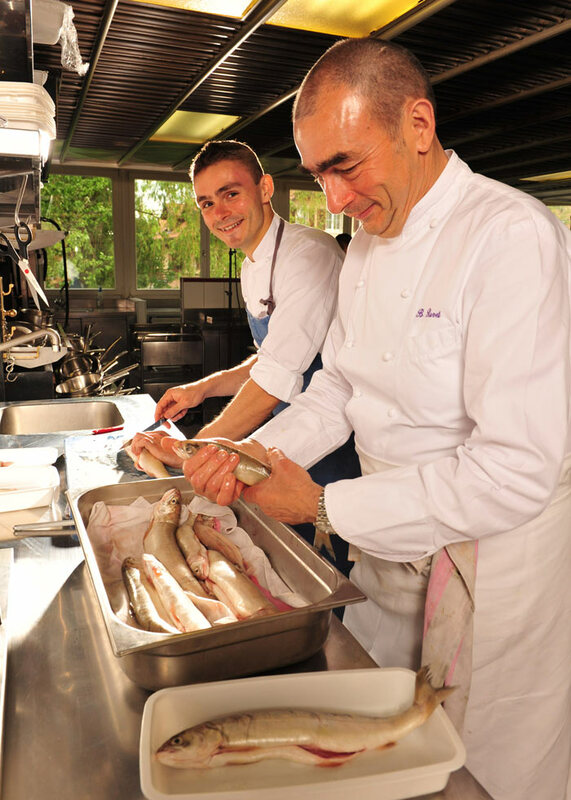 From 7-14 June, guests at Relais & Châteaux properties around the world will be offered a special “Sustainable seafood menu” that its gourmet chefs have conceived entirely from sustainable seafood, selected with advice from SeaWeb Europe. A percentage of each menu will be donated to UNESCO in support of its work to improve protection of the marine sites on the World Heritage List. SeaWeb Europe is an environmental organization that strives for the conservation of our oceans and its resources through the promotion of sustainable seafood among other. Relais & Châteaux properties are located in some of the world’s most unique and spectacular places, some of which are inscribed on UNESCO’s World Heritage List. Relais & Châteaux, through its range of high quality hotels and gourmet restaurants, is committed to delivering a cuisine that is representative of local traditions and environments and reflects their global diversity. says Philippe Gombert International Chairperson of Relais & Châteaux.